Milan, ItalyKenyan Matthew Kisorio took the win improving his PB by seven seconds with 60:03 at today’s Stramilano Half Marathon which celebrated its 40th edition on a cloudy morning but otherwise with ideal weather conditions. 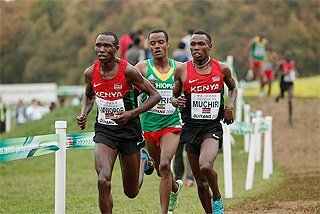 Kisorio, fourth at last week’s IAAF World Cross Country Championships in Punta Umbria, beat his 18-year-old compatriot Eric Ndiema who finished second in 60:20 ahead of Dereje Deme Hailegiorgis, third in 60:25. In the women’s race 20-year-old Ethiopian Ababel Eyeshaneh Brihane took the honours in 69:54 ahead of Italian Anna Incerti, runner-up in 70:41. The men’s race set off at a very fast pace on the flat Milan course inside a 59:25-59:30 pace. Peter Kurui led a six man group who went through 5km in 14:06. 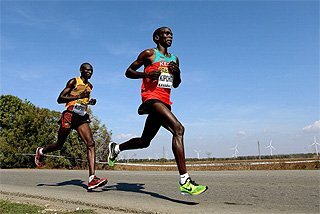 The leading pack also featured Ethiopians Shumi Leche Dechasa, Atalay Yrsaw Tegene, Dereje Deme Hailegiorgis and Kenyans Matthew Kisorio and Eric Ndiema. They continued to push hard in the first 10km (8km in 22:36 and 10km in 28:16). Kisorio broke away at 13km with a decisive attack and at 15km he had carved out a gap of 6 seconds over Eric Ndiema, who entered the Stramilano with a 59:57 PB set last year in The Hague and finished third at last month’s Paris Half Marathon, and Dereje Deme. Kisorio passed the 15 km in 42:24 to Ndiema’s 42:30. The pace slowed in the second half and any hopes of scoring the eighth sub-60 minutes in the history of the Stramilano vanished in the final kilometres. Kisorio set his previous PB of 60:10 last October in Porto. He also boasts a 5000 metres track PB of 12:57:83 (2010) and won the 2008 IAAF World Junior silver medal over this distance. He is the fourth of seven children of the late Some Moge, first Kenya’s medallist at the World Cross Country Championships with bronze at Gateshead in 1983. “I was aiming at running under 60 minutes but it was a good race, anyway”, said Kisorio. “The conditions were perfect for running. I was running at sub-60 minutes (pace) but I had some problems in the final kilometres. My goal is to make the Kenyan team in the 10,000 metres for the World Championships in Daegu,” said Kisorio, who trains with the group guided by Italian coach Claudio Berardelli. The local interest was focused on the half marathon debut of former European Junior and Under 23 Cross Country champion Andrea Lalli who ran a good race finishing seventh, first among Europeans in 62:32. “I expected to run 63, so it was a good result for me. I had no experience at all over this distance, as I don’t run more than 20km in training. I have trained very well in Kenya with a group of Kenyan runners and this gave me a great motivation. 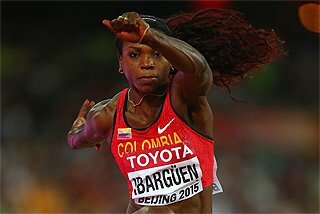 My goal is to qualify for the 10,000 metres for the World Championships in Daegu. 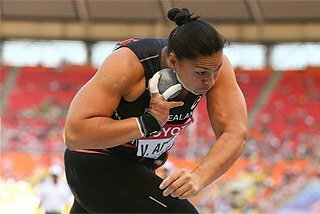 I will pursue the qualifying standard for Daegu at the 10,000 metres European Challenge in Oslo on 5 June,” said Lalli. European Marathon champion Viktor Röthlin from Switzerland finished eleventh in 62:45 in his final test before the London Marathon, an IAAF Gold Label Race, on 17 April. 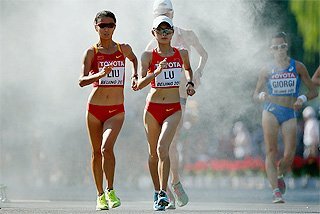 The women’s race developed into a fight between Ababel Eyeshaneh and Anna Incerti who ran side by side in the first 15km (5km in 16:21, 10km in 32:48 and 15km in 49:38). 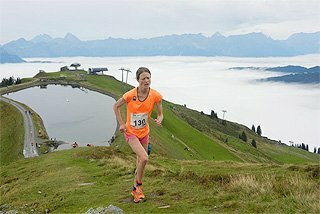 Hungarian Krisztina Papp, who boasts a half marathon PB of 70:53 set at the Udine World Half Marathon Championships in 2007, followed in third position at 15km in 50:45. Incerti, European Marathon bronze medallist in Barcelona, was aiming at breaking the Italian Half Marathon record held by 2002 European Marathon champion Maria Guida who clocked 69:00 in 2000. Incerti has had a set of impressive results recently such as her marathon PB of 2:27:33 set in Osaka at the end of January and her 69:06 winning time set at the Roma Ostia Half Marathon, the second fastest time in Europe so far this year. 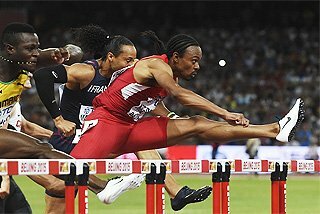 However, despite such good form the runner from Bagheria near Palermo felt heavy legged by 15km and was dropped by Eyeshaneh at that point, the young Ethiopian romping home with a strong final part in 1:09:54 in the famous Napoleonic Arena Civica, the home of athletics in Milan. 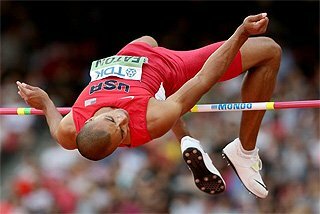 “I missed my PB by just a few seconds but I am happy with my performance. 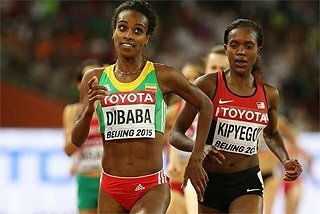 I don’t think about qualifying for the World Championships because the competition in Ethiopia is very tough,” said Eyeshaneh. Incerti was not very happy despite her second place; last year she came fifth coming back after a long period of rest after injury. “It was not my day. 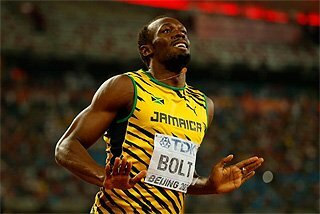 I trained very well at altitude in Ifrane and I knew that I could run much faster,” said Incerti. “I felt heavy legged and I could not react when the Ethiopian pulled away. 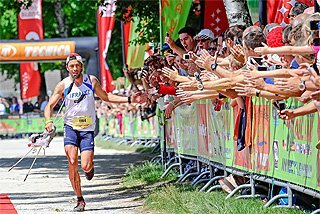 I am happy with my husband Stefano Scaini who made his marathon debut in Treviso today finishing fourth in 2:16:48. I was running in Milan but my heart was in Treviso. 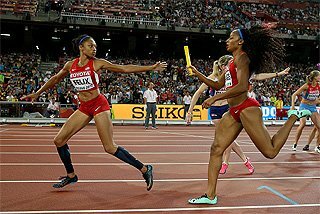 My next marathon race will be at the World Championships in Daegu,” concluded Incerti. No less than 6000 runners took part in the Stramilano Half Marathon, while about 50,000 runners toed the starting-line in the popular Stramilano 10km non-competitive mass event which started from Piazza Duomo and finished in the Arena Civica.